James Bond and Mont Blanc. Chamonix is likely to make you think of one or the other. They go together - the thrills of climbing the icy ravines of Mont Blanc, hurtling down La Vallée Blanche, or sipping your drink with an epic backdrop are all very Bond. 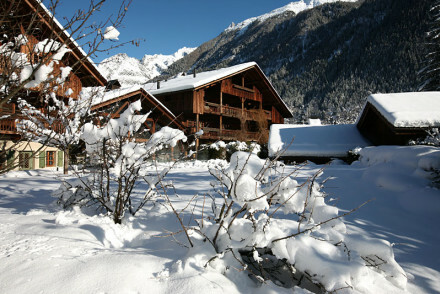 But our recommendations for the best places to stay in Chamonix are not all about luxury and glamour! Beloved by winter sports enthusiasts from Olympic standard downwards, the best places to stay in Chamonix provide the opportunity to enjoy some of the world's most dramatic, and scarcely believable, challenges. You've seen 007's stunt-tastic descent in 'The World Is Not Enough' - that's what it's like. And if you prefer to take your ski chase off piste there are plenty of really thrilling rides, though for some of them you'll need to get yourself a guide (read local agent), as there's a real threat of crevasses. As far as the après-ski is concerned, like Bond, you'll need to know where to go. But this is where your local 'contact' will be able to point you in the right direction. And there are plenty of Brits and Scandis here to cast as agents of your megalomaniac nemesis. For many people the highlight of a visit to Chamonix is the view from the Aiguille du Midi cable car, as you head towards perpendicular cliffs. For some it's the view from the top of Mont Blanc, a breathtaking vista of Alps. Another favourite is the chocolate box view of Mont Blanc as it towers above… as you sip hot chocolate in a cosy Chamonix cafe. The highest mountain in the Alps she, and her attendant glaciers, both crown and dwarf Chamonix. Mont Blanc has one of continental Europe’s largest glaciers called the Sea of Ice, it’s also got one of the world’s highest cable cars - the Aiguille du Midi car finishes at 3810metres! The Brevent cable car might have better views though. And the Bellevue cable car is pretty picturesque as well. Oh, and of course the skiing. And the legendary après-ski . There's also plenty of rock climbing and mountain biking. 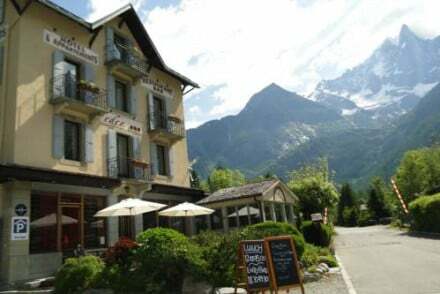 In summer and winter the hotels can be busy, but plenty of the best places to stay in Chamonix are open all year, along with many of the best restaurants and other facilities which make the town a fantastic place to be whatever the season. 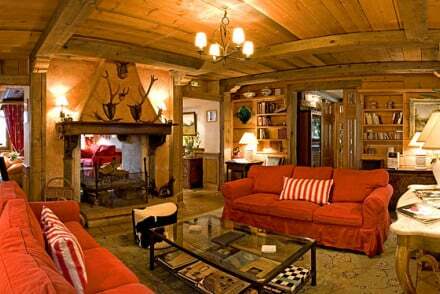 Le Jeu de Paume has a traditional alpine lodge feel, with woody decor, lots of big open fires and generous leather armchairs. This hotel also has its own mini après-ski scene, and a restaurant with a reputation for being one of the best in the Chamonix valley. 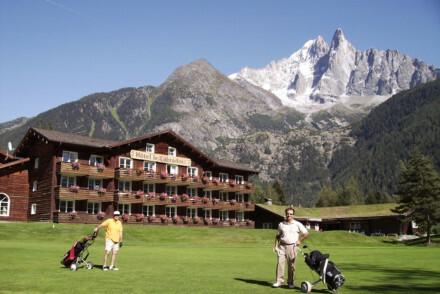 Plus it's just five minutes from the Grands Montets ski area. 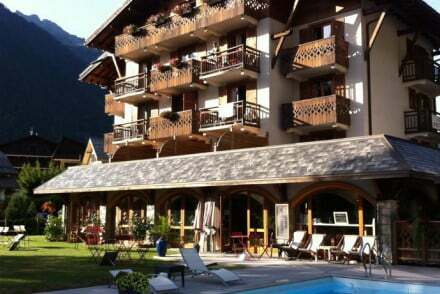 Hotel Oustalet is another charmingly traditional feeling hotel with a chalet feel. 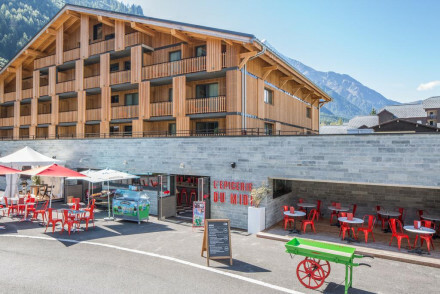 Just a few steps from the Aiguille du Midi cable car, this hotel also has lovely, sunny terraces. The Hotel Eden is ideal if you're looking for a home way from home - but with spectacular views. 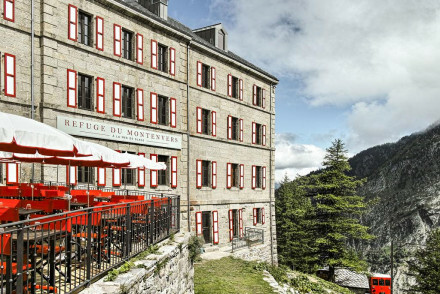 Only 100ms from the Flegere cable car, this hotel has rooms, family suites or self catering options. Five stars worth of grand 19th Century hotel renovation, the Hotel Mont Blanc is a luxuriously chic option with a very Bond-esque bar. 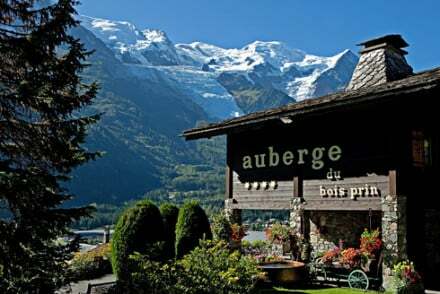 If you want to be in the thick of things, Le Hameau Albert 1er is just 2mins from the pedestrianised centre of town. Its restaurant has two Michelin stars, and it has a bar and spa you can imagine Bond unwinding in after a day dodging bullets on the slopes. 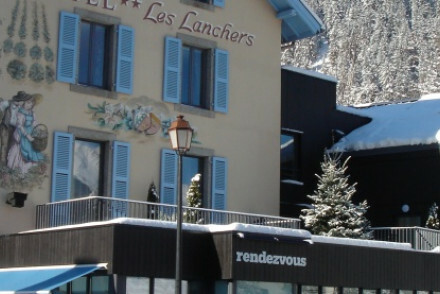 If you're here to ski and you don't want frills and fuss, Les Lanchers is perfect for you. Simple and contemporary, this hotel has private balconies and mountain views. The 19 rooms start from around £80 per night. 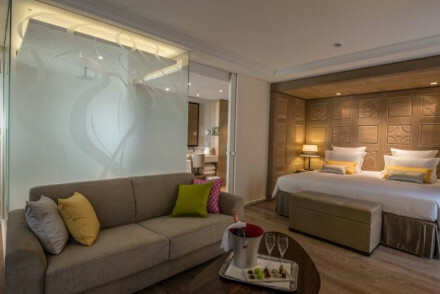 Le Morgane is a mid-sixes contemporary hotel with a Michelin recommended restaurant and excellent spa. All rooms and suite have private terraces with wonderful views, and prices start from around £90 per night. 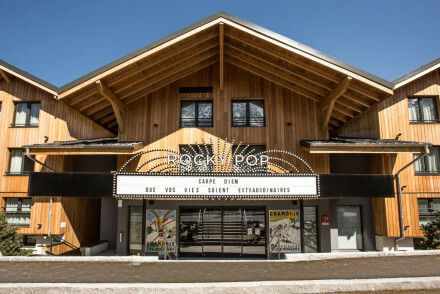 The Rocky Pop Hotel is a a colourful, contemporary hotel with 148 rooms and a choice of restaurants. Fun and unfussy this is a great place for families, and rooms start from around £50 per night. Le Faucigny is chic and cosy - the unique blend between a traditional home and a modern guest house. The 28 rooms are stylish and comfortable, and the duplex rooms have bunk beds and board games, making them ideal for families. L'Heliopic is just minutes from the slopes and offers smart, comfortable, contemporary accommodation with stunning mountain views. The traditional French restaurant is excellent and there’s a great kid’s play area, a Turkish steam bath and a sauna. L' Hermitage is centrally located, but the views - from your private terrace - will astound. Plus there's a separate cottage which is perfect for families. Le Labrador's balconies open right onto the golf course - and behind it Mont Blanc - so it's a good choice for a summer visit. Its 35 rooms and three suites are comfortable and affordable. There are several airports serving visitors to Chamonix. Geneva Airport is the closest at around an hour and 15minutes from the resort. Chambery is about an hour and a half away, Turin Airport is about two hours away and Lyon is two hours and 15minutes. Most visitors travelling from outside France travel via Geneva as there’s a good choice of flights year round and easy airport transfers. If you want to hire a car - which some people opt for to get from the airport to Chamonix - we recommend you visit our online partner, Rentalcars. If you’re coming for the snow then December can go either way, but it’s a very popular time to visit and the pistes will be busy even if the snow isn’t great. It is beautiful here at Christmas time… January and the weeks of February which are not part of French school holidays offer cold weather but great skiing conditions. March is sunnier, but the snow won’t be as good, and then wham! the snow returns with the April showers and there’s the chance of great skiing and plenty of sunshine. If you’re here for the hiking or biking in the alps then summer is idyllic. 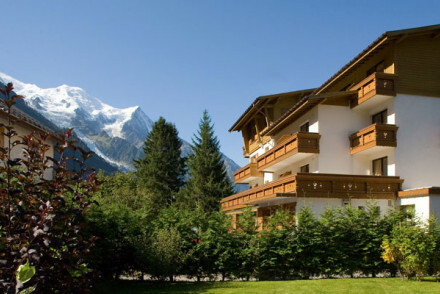 Still not sure which is the best place to stay in Chamonix for you? 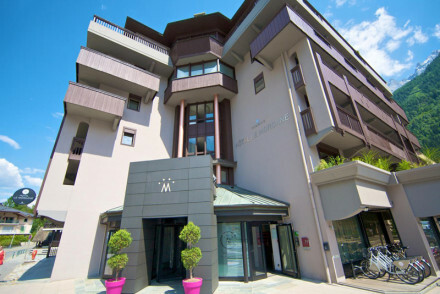 or the best places to stay in Megève? Active Holiday - Whether you visit during the winter or the summer there are plenty of activities on offer locally to keep you busy!